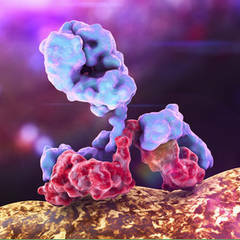 The new PEPperCHIP® Autoimmune Epitope Microarray 3.0 covers 4,287 linear autoimmune epitopes including 286 citrullinated peptides as well as the corresponding arginine variants. The database epitopes correlate with a variety of autoimmune diseases including Crohn’s disease, diabetes mellitus, multiple sclerosis, rheumatoid arthritis, Sjögren’s syndrome, systemic lupus erythematosus, vitiligo and many more. Numerous research institutes, biotech and pharma companies meanwhile successfully applied the PEPperCHIP® Autoimmune Epitope Microarray to e.g. For more information on the epitope content of the new PEPperCHIP® Autoimmune Epitope Microarray 3.0, please download the material data sheet as well as the microarray layout scheme on the product website.